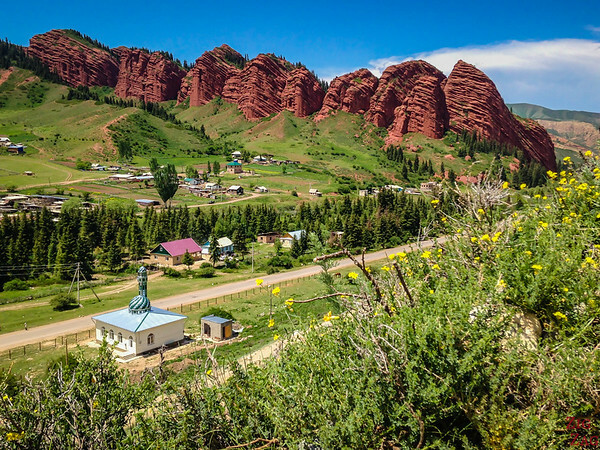 Kyrgyzstan is a nature jewel in the heart of Asia. The mountainous region is full and stunning landscapes which made it difficult for me to decide on my top 7 places to visit. As I write this post I know that several of the fellow travelers on my tour would disagree. After all it is a matter of taste. The tower is all that remains of the ancient powerful city of Balasugan. The rest disappeared with the fall of the feudal state and some earthquake. 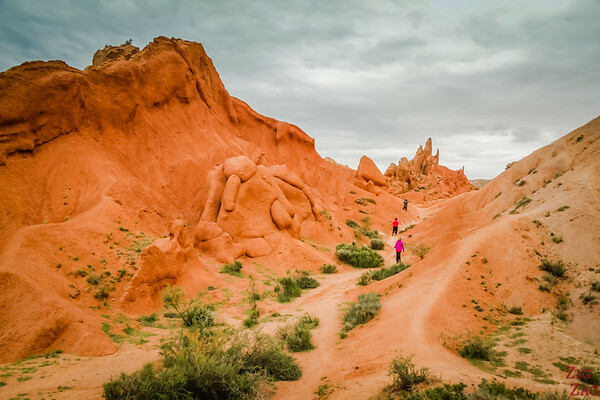 The mix of history and landscape, plus the touch of culture as we had the chance to listen to 2 young girls playing the Kyrgyz guitar. The color of the water is of an intense blue and the surrounding mountains have intriguing shapes. I really wish I had had more time to explore the area. 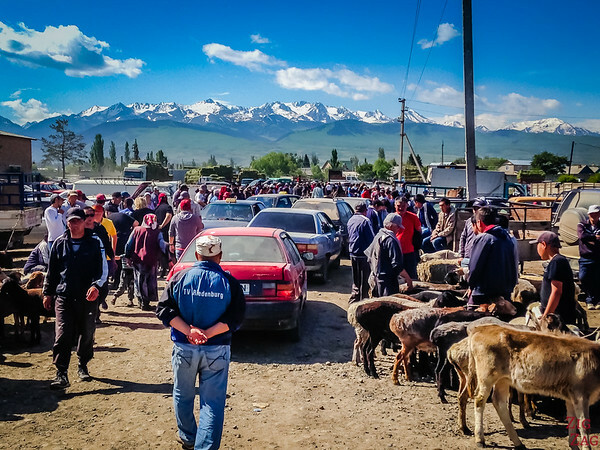 This was quite a cultural experience... a deep dive into the life of the Kyrgyz people. We were amlost the only tourists so our exchange with the people were really genuine. I was fascinated. From every angle the landcapes looked like paintings. I promise you I have not used a filter. The sharp contrasts were like that as if different artists had sculpted and painted the moutains around us. Which ones made it on your travel plan? Wauw! Thanks for these amazing tips! Sunday we’ll leave to Kyrgyzstan and the last person we spoke to wasn’t so fond of the country, but reading this I have no more worries. Thanks for your comment Gwen. Your description makes these places even more beautiful. We are visiting Kyrgyzstan this coming 29th and will be there for a week. 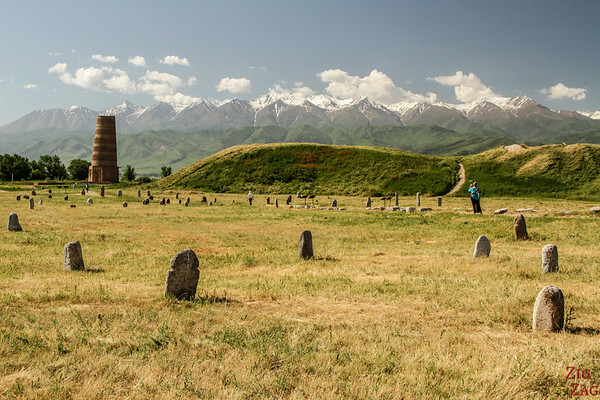 Is it an appropriate time to visit Song Kul, the Toktogul Reservoir? I’ve heard during this time of the year almost everything is covered in snow. Song Kul is at 3000m in altitude. So yes, it will most probably be covered in snow. But the amount varies from year to year. 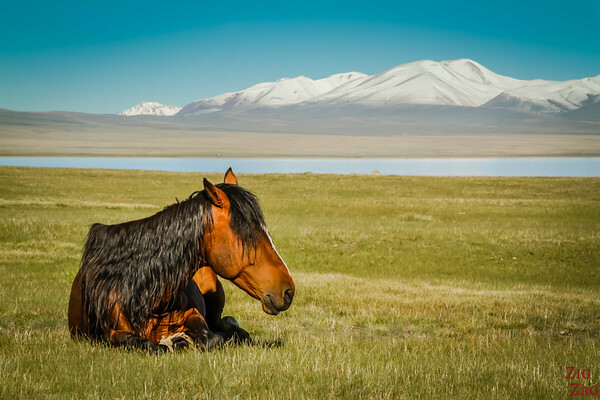 I’m so impressed with the presentation of your trip in Kyrgyzstan, simple and easy going. I read all the pages. I have a question to ask. 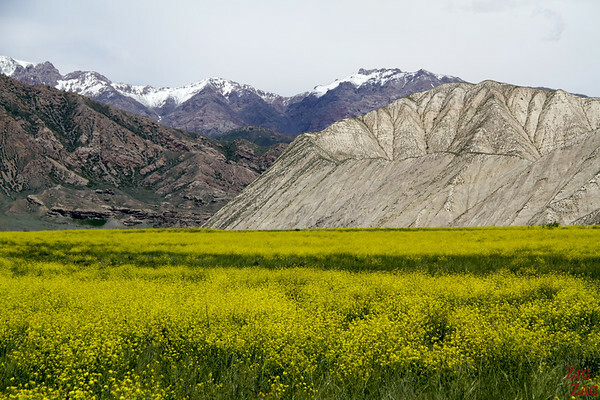 Between Altyn Arashan and Valley of Flower (near the Jety Oguz), which one is the best? I’m planning to stay at one of those location only. One more question, i don’t have much time in Kyrgyzstan, would it worth it if i skip Osh but will visit Toktogul? My favorite was the Valley of Flowers. But I could not tell you why, just my feeling. Both are beautiful.